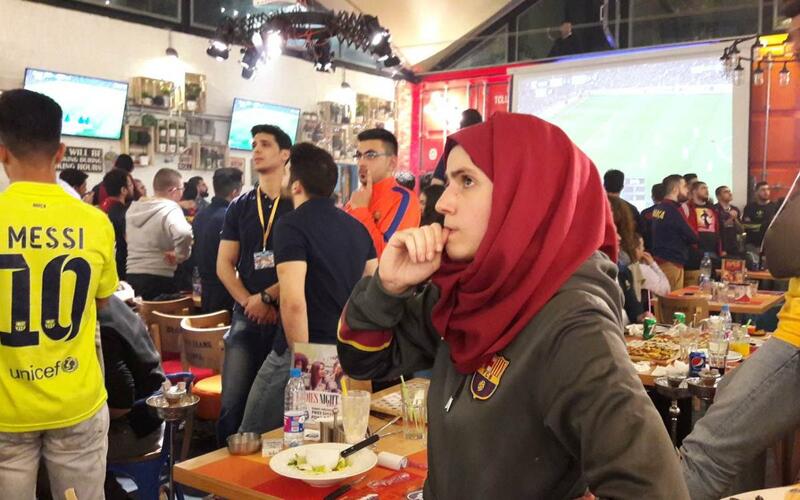 The end-of-year clash between FC Barcelona and Real Madrid brought out plenty of passion in the Lebanese capital, and here's the video to prove it! The Clásico is watched with passion around the whole planet, and the Lebanese capital of Beirut is no exception. The local supporters club (Penya Blaugrana) is a young but highly active organisation that last December 23 went wild as Barça stormed to another famous victory at the Bernabéu. The fans gathered before a giant screen at the Hoops Hazmieh club in the city centre, and this video gives a great idea of the excitement they shared together!